Georgetown- Pauline M. Murray has been located and is in good condition. The Gold Alert has been canceled. Georgetown-The Delaware State Police are issuing a Gold Alert for Pauline M. Murray-84 who was last seen at her residence located on Seashore Highway, Georgetown on Sunday January 25, 2015. Pauline is a white female, 84 years of age, 5’03” tall, 180-190 lbs., grey hair and hazel eyes. She was last seen wearing a blue shirt and red pants and may be operating a red 2006 Ford Freestyle 4 door with Delaware registration PC465981. 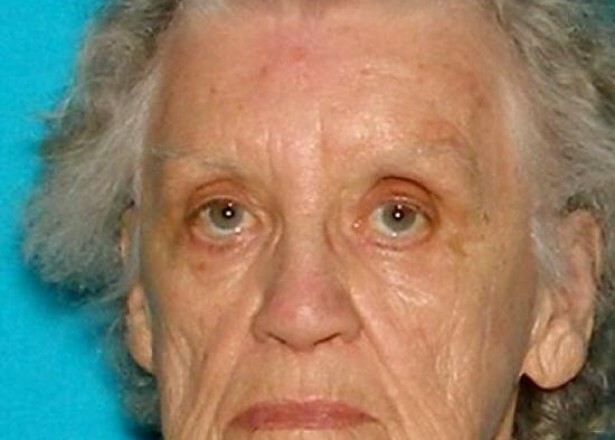 Troopers have been unable to make contact with Mrs. Murray to check on her welfare. Attempts to locate her have been unsuccessful and there is a real concern for her safety and welfare. It is believed that Mrs. Murray may be traveling somewhere on the western shore of Maryland. If anyone has any information in reference to her whereabouts, they are asked to contact Troop 4 at 302-856-5850 or by utilizing the Delaware State Police Mobile Crime Tip Application available to download at: http://www.delaware.gov/apps/. Information can also be provided to the Delaware Crime Stoppers at 1-800-TIP-3333 or via the internet at www.tipsubmit.com. Send an anonymous tip by text to 274637 (CRIMES) using the keyword "DSP."